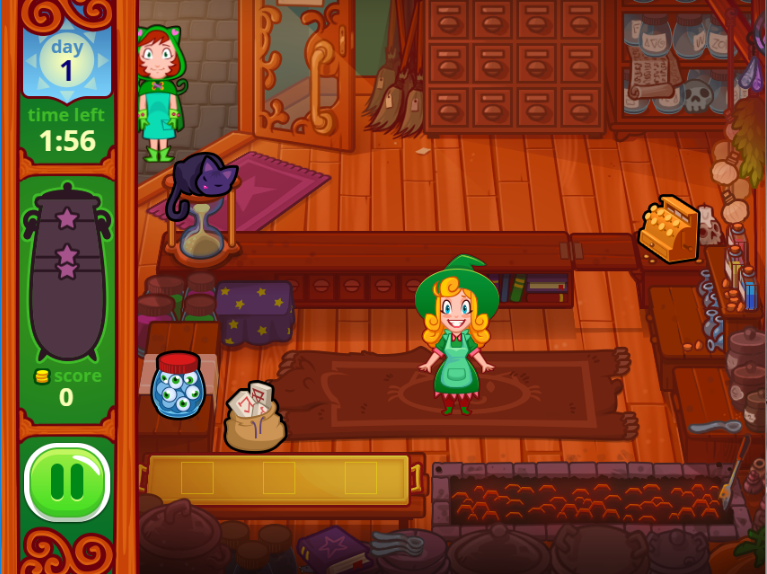 Welcome to an addictive funny game on 123addictinggames.com – game Mila’s Magic Shop. The game with full of joy will surely make your free time become amazing and exciting. 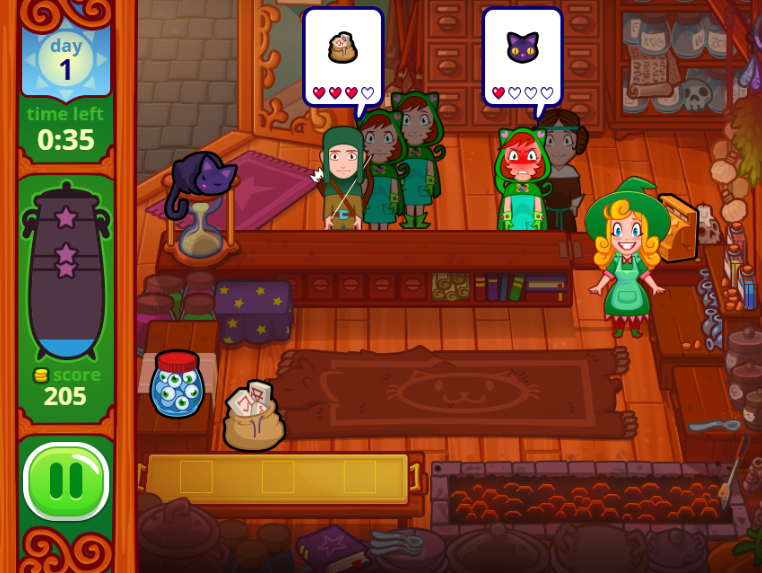 Participating in this game, your mission is to help Mali manage her business by selling magical items to witches, archers and wives. There are 14 levels in total. Each level has a target about coin for players to reach in limited time. Players will have an entire day of work with fun. Try to meet all customer’s needs. Keep in mind that you need to open the cashier to get coins or customers will leave without paying. Speed is one of the key elements in this game to upgrade your level. Will you pass all challenges? Enjoy the game and show us right now! Good luck and have fun! 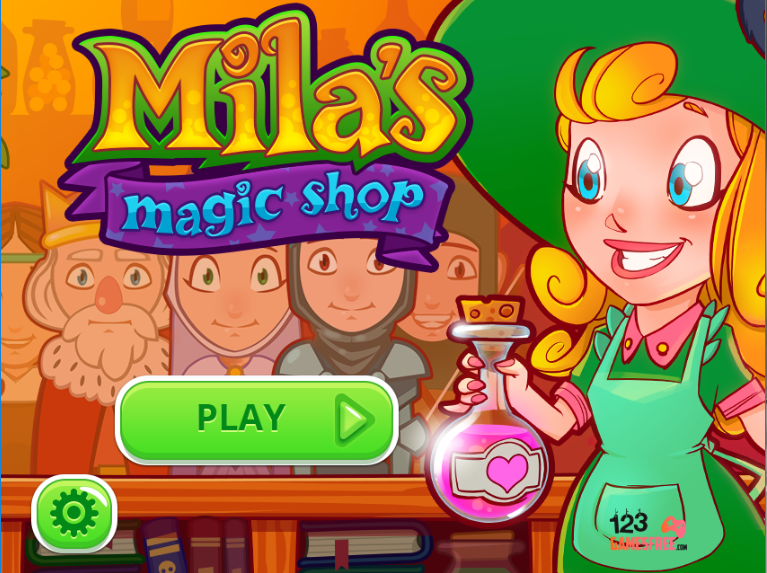 Play 123 free online games for girls to play, game Mila’s magic shop, more girl games, fashion games on 123addictinggames.com.